Those are not exactly the lyrics to “Evergreen,” but you catch my drift. I don’t know when I first discovered protein pancakes, but that was a great day. I love pancakes. I have them almost every morning. Back when I was working on my 80 pound weight loss (11 years ago already!) I ate oatmeal for breakfast every day…with a few 60% cocoa chocolate chips added. 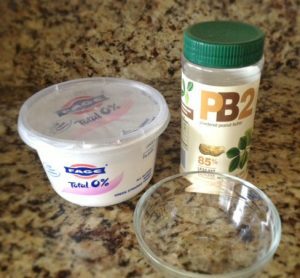 To add a little more protein punch to this breakfast pancake delight, I have created Greek yogurt/PB2 topping that I can spread on these little love patties. It’s super easy, and adds a nice little touch of flavor. Spread it on your pancake. Voila! 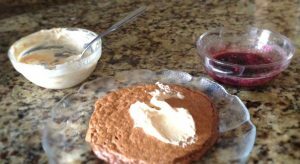 I usually top my pancake with fresh or (defrosted) frozen berries, and sometimes a little whipping cream. Oh and maybe a few 60% cocoa chocolate chips. Ha. Just for fun. 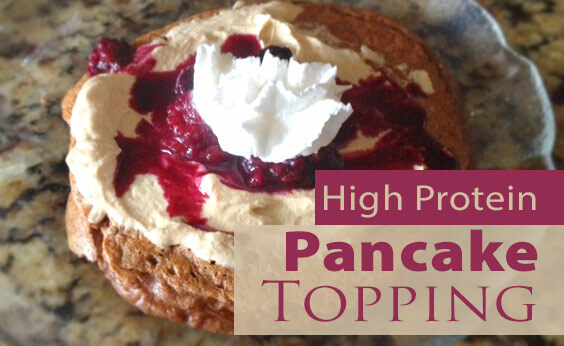 If you make it, let me know your thoughts, or what else you like to put on your protein pancakes. Want more? 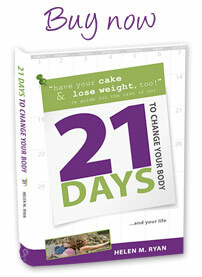 Sign up for my free newsletter – where weight loss is made to fit into your busy life.